Issues like rodents, insects, leaky ceilings or poor plumbing can make an apartment unlivable. If you are having problems in your apartment, chances are that these problems are affecting the entire complex. At BV Law, we often provide legal advice and representation to multiple tenants against a landlord or property owner. If you live in a building with substandard plumbing or electrical wiring, you should contact a lawyer immediately. Landlords must maintain these necessities for every unit in the apartment complex. If you are having a problem in your unit, it is very likely that other tenants are having the same issue. Do not hesitate to contact the law firm of Bracamontes & Vlasak. 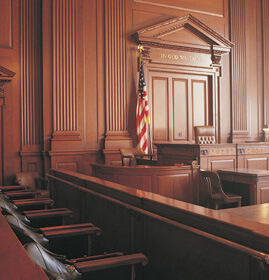 Our attorneys have the experience necessary to handle multiple tenant negotiations and trials. The law firm of Bracamontes & Vlasak, P.C., provides legal advice and representation in San Francisco and communities throughout California. Contact our office to schedule a free initial consultation with a lawyer. You can also reach us by calling 415.835.6777.